Lt. Colonel George F. Heileman, United States Air Force, retired, was born during 1933 in Phoenix, Arizona, the son of Leo M. Heileman and the former Rose Murphy. 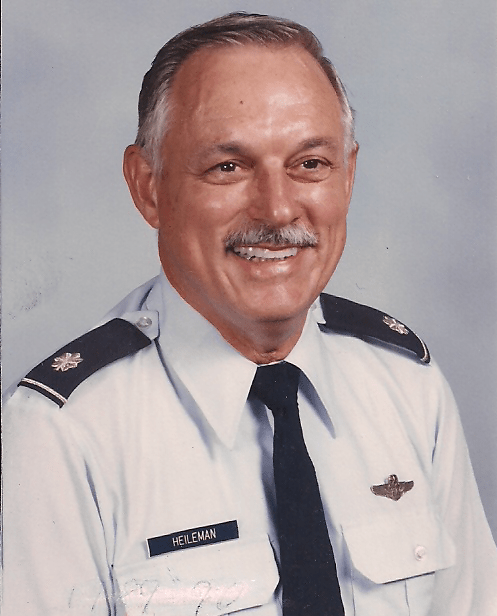 Colonel Heileman joined the military on 1 July 1955 and served in both Korea and Vietnam. His duties included that of a Navigator/Observer, a Communications Electronics Officer, and culminated as a Squadron Commander. 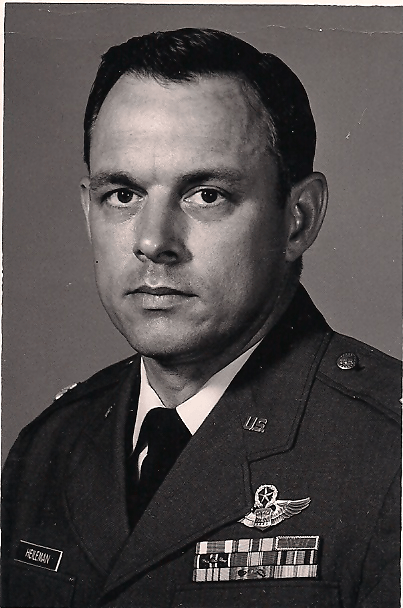 Colonel Heileman’s notable assignments included being on Eniwetok Atoll in the Pacific during 1958 where he was “flattened” by the first of 32 detonations. He and his fellow crew members were following instructions as per training, but they stood up too soon after the detonation and the flash to walk to their aircraft, and the “shock wave” leveled them for several seconds. He was also stationed in at Clark Air Force Base, Philippines (as a First Lieutenant in 1960); at Holloman Air Force Base, New Mexico, where he was Chief of Maintenance & responsible for Aircraft, Test Track, and Monkey Lab maintenance for AF Systems Command; and at Sondrestrom Air Force Base, Greenland, which is located almost 100 kilometers North of the Arctic Circle. George also mentioned that he was “on a glacier with a Danish Princess”. What is that all about, George? Does Kay know? Actually, as Commander of the largest unit on Sondrestrom, whenever the Danish Princess would arrive, it was protocol that he accompany the greeting party and go on Greenland tours. Sondrestrom at that time was the “Gateway” to the capital of Greenland. Colonel Heileman retired on 31 July 1975 and he and his wife, Kay, returned to his native Arizona. George continued to serve his country and the fellow citizens of his state in the Arizona Department of Public Safety, as a Radon Inspector covering the entire state, and for 10 years as the Senior Military Instructor at the Junior ROTC programs at Deer Valley High School and later at Sunnyslope High School. Colonel Heileman was our 39th Chapter President in 1993-1994. He is also active in the Military Order of World Wars (MOWW) and was the Chapter President of the Apache Trail Chapter in 2005-2007. 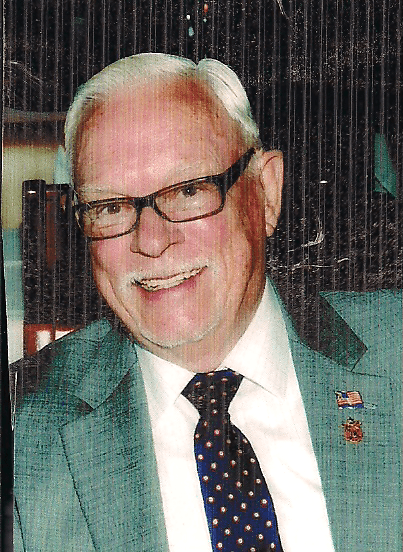 George is a Life Member of the Arizona State University (ASU) Alumni Association (George was ASU’s Nov 1953 Homecoming King and member of the Lambda Chi Alpha Fraternity), and the Frank Luke Chapter of the Air Force Association. George also volunteers for MOWW’s Arizona Youth Leadership Conference and as an usher at St. Bridget Catholic Church in Mesa, Arizona.